Ever wonder what triggers a woman's body to enter menopause? And why do some women seem to breeze through menopause while many other women struggle through it? Part of the answer, and maybe a big part, has to do with how much melatonin your body produces as you get older. But that's not all. The way melatonin functions in the body of women as they age might provide some serious clues for the entire aging process in both men and women. At least that's the conclusion of a new study. Researchers at the Menopause Center in the Madonna delle Grazie Health Institute in Rome looked at the connection. They studied melatonin levels in women and how they relate to the aging process. They knew that as we get older, there's a very steady and significant decrease in the night time production of melatonin. The pineal gland in the brain produces melatonin, which is a hormone. So it makes sense that it would affect women going through hormonal changes. Melatonin production is stimulated by sunlight. When the sun goes down and the lights go out, your body releases the melatonin you produced during the day while you sleep. And while you're sleeping, melatonin acts directly on the DNA in our cells. It causes them to behave more like they did when we were younger. Studies have shown that aging rats supplemented with melatonin are healthier, and live 20% longer than their deficient friends. So the researchers set up a double-blinded, placebo-controlled study. 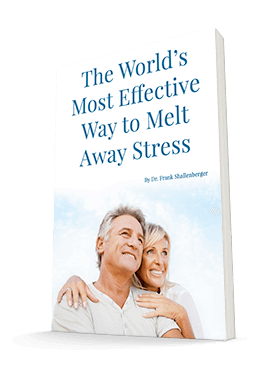 Their goal was to find out what happens when you give perimenopausal and menopausal women 3 mg of melatonin. In this study, they looked at women between the ages of 42 to 62. All of them were healthy and not on any medications. The first thing they did was to measure their melatonin levels, thyroid levels, and the levels of the main pituitary hormones. These control menopause, lutenizing hormone and follicle stimulating hormone.ÿThen the researchers gave half of the women 3 mg of melatonin, and the other half a placebo. Three and six months later, they repeated the same tests. Here's what they found out. With the first set of tests, they discovered an interesting connection. They found that the women with the lowest levels of melatonin had the highest levels of both lutenizing hormone and follicle stimulating hormone. This finding indicates that lower levels of melatonin are a trigger for menopause. Levels of lutenizing hormone and follicle stimulating hormone elevate in women entering menopause. The researchers then confirmed this. Within six months of taking the 3 mg melatonin supplement, the younger women (43-49) showed a decrease in their levels of lutenizing hormone and follicle stimulating hormone. In fact, their levels were more typical of younger women. In addition, most of the melatonin-treated women reported a general improvement of mood and a significant decrease in symptoms of depression. But that wasn't all. In next week's alert, I'll show you how all of this affects your thyroid hormones — and how it also affects men. If you're over the age of 50, this is vital information for your health.